Although easy to wipe clean the Fizik R1 Uomo show scratches easily. If not careful you can easily ruin the shoes with blemishes. 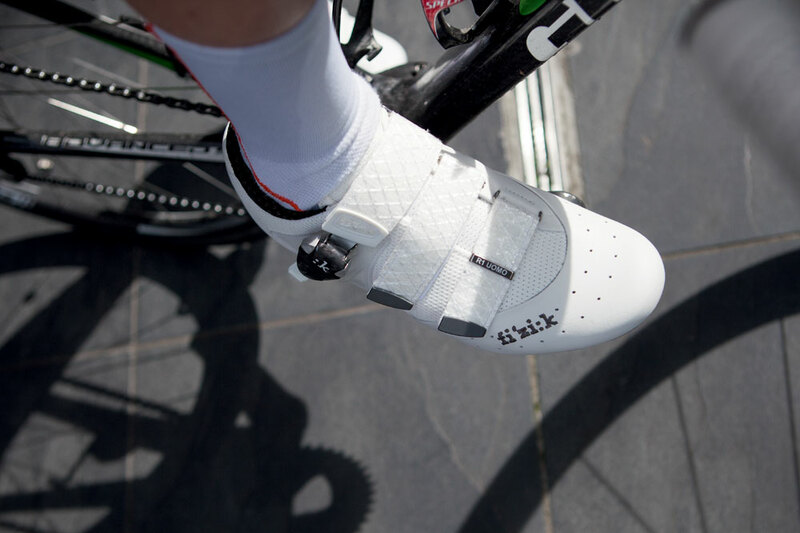 Fizik have certainly gone all out to compete in the high-end section of the road market with the Fizik R1 Uomo road shoe, not at least with its £299.99 price tag. With a stiff T700 carbon sole acting as a solid platform, minimising any wastage in power transfer, topped with Kangaroo leather and sailcloth straps giving us the feeling it might be money well spent, at least. As with the trend, you get a heat mouldable insole allowing for minimal customisation helping the R1’s suit our feet, along with half sizes available from 40 to 48 to cover much of the foot spectrum. The combination of two straps and a buckle breaks away from the Boa hype keeping the stylish traditional look but still maintaining a great fit that allows for secure closure, limiting any movement. The two Velcro straps remain taught over time and hold in place well but the buckle needs some work. We found it to be a little fiddle and not the most robust design, not that it went wrong for us in testing. 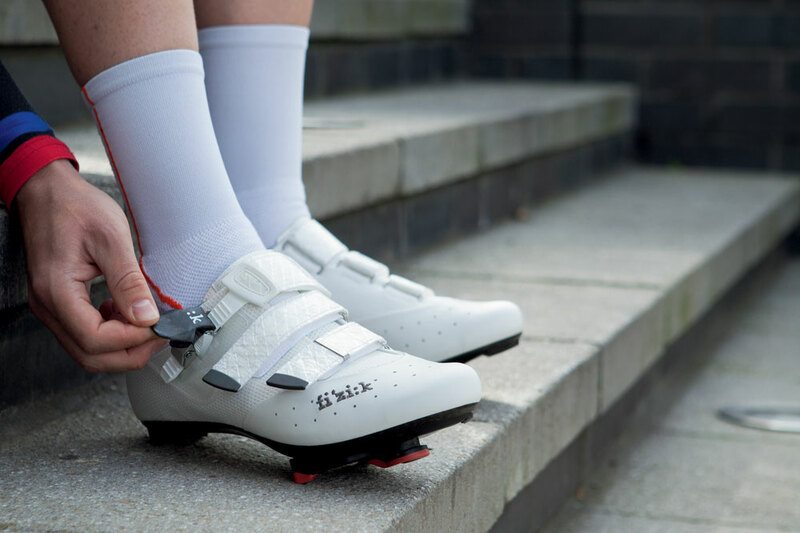 Although Fizik haven’t updated the R1 to include the Boa system, two new introductions into its range R3B Uomo and R5B Uomo have. The outer leather cleaned well when mud splattered, even the white edition, though the material still remains scratch prone, standing out like a sore thumb when damaged. We did find the Uomo’s favoured higher arched feet, maybe something that was inherited down through the design phase, but maybe limited to a select foot type. Fizik’s acclaimed comfort is something we agree with, certainly allowing for all day use, though this is a price paid in weight and bulk. Unlike rivals at this price point, less is more, and in terms of race feel, Fizik with the R1 did feel a little on the heavy and bulky side, something worth considering. If your looking for a lightweight racing thoroughbred the R1 might not be your bag, but for comfortable, stylish top end road shoe you can’t go wrong with the Fizik £299.99 offering.